Davis-Standard’s explains how its medical tubing expertise thrives on perpetual innovation. Today’s medical tubing market is aimed at tubing that is smaller (less invasive) with tighter tolerances and higher overall quality. Processors also need to run at higher line speeds to improve efficiencies and cost competitiveness. While this creates a challenging climate for equipment manufacturers and system integrators, Davis-Standard has excelled in meeting industry demand head-on in terms of providing adaptable equipment solutions and extensive R&D capabilities. Davis-Standard’s track record in medical tubing is reflected in the company’s global installations and growing market share. It is a key player in medical tubing equipment in the United States and has experienced a steady and consistent increase in overseas markets. Machinery, feedscrew and control options are available for nearly every medical tubing application including catheters, drainage and IV tubing, microbore tubing, radio opaque tubing, taper tubing and many others. Paramount to this versatility is the fact that Davis-Standard’s equipment can be designed to accommodate a wide range of materials ranging from polyolefins, FPVC and nylons to PLA, PLLA, PEEK and FEP. The company is always working alongside customers to develop new applications, including innovative tubing processes that integrate Davis-Standard’s patented Alternate Polymer technology. This is complimented by the company’s commitment to fast response times, spare parts inventory and aftermarket service. “We are poised to take advantage of future medical tubing opportunities through continual development and unconventional solutions for complex products, engineered with features that surpass those of other extrusion equipment suppliers,” said Kevin Dipollino, product manager of Davis-Standard’s Pipe, Profile and Tubing Systems. According to Dipollino, the availability of R&D processing labs is a significant advantage for Davis-Standard customers. 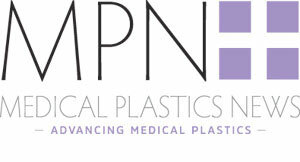 The company has its principal medical tubing lab at its headquarters in Pawcatuck and a secondary lab in China at its subsidiary in Suzhou, Davis-Standard (Suzhou) Plastic Packaging Machinery Co. The medical tubing line in Connecticut is located in a climate-controlled clean room type environment for customers to test new resins, make parts for proof-of-concept, and conduct R&D trials prior to making large capital equipment investments. Examples of current machinery innovations include tight tolerance processing of FEP tubing with radio opaque stripes, the MEDD (Medical Extruder Direct Drive) extruder, and the Alternate Polymer technology. The FEP line is ideal for medical applications requiring biocompatibility and lubricity. The compact MEDD is optimised for clean room environments with a replaceable feed section liner and direct drive technology for greater efficiency and materials flexibility. Davis-Standard offers a high-tech melt pump system to maximise stability when processing sensitive materials. With Alternate Polymer technology, processors can switch from polymer A to polymer B using precision extruders and melt pumps with highly accurate servo drives to toggle between resins. “With continued growth in the medical tubing market worldwide, our R&D lab lines have been an extremely important asset for both Davis-Standard and our customers. These lab lines have also supported our efforts to stay ahead of the game and bring competitive solutions to the industry,” said Dipollino. As for the future, Dipollino and his team at Davis-Standard are optimistic. The company has seen substantial growth for medical devices in the Asia Pacific market, as medical treatments align with those in the U.S. and Europe. Dipollino believes global demand for medical tubing will remain strong due to ageing populations and increased awareness regarding quality of care and patient safety. An example of a niche market that Davis-Standard has capitalised on is equipment for processing radio opaque tubing for catheters. The company has a strong pipeline of projects and is expecting to finalise key partnerships with medical companies that will support a strong finish to 2017 and future expansion.